In 1957, Herbert Yardley published The Education of a Poker Player. Part autobiography, part coaching manual, it remains a compelling story today. 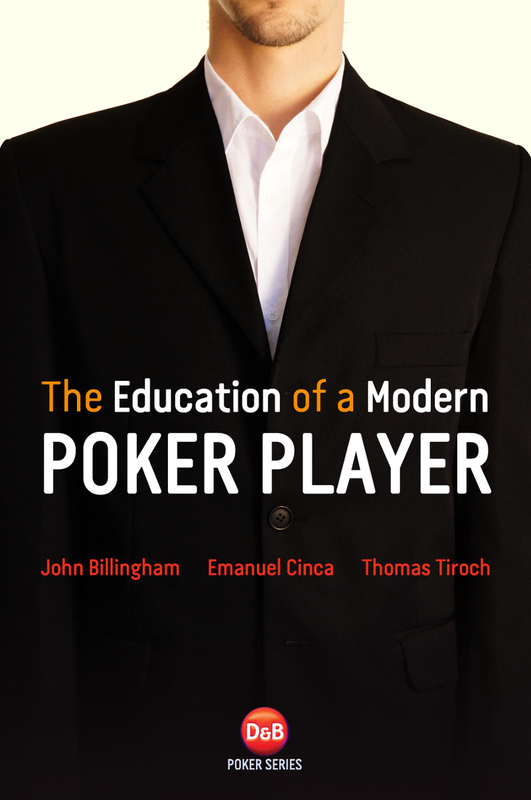 In The Education of a Modern Poker Player, we will describe the skills that a player needs in today's largely online poker world by telling the story of what happened when a couple of pros met a fish and tried to turn him into a shark. Although the book focusses on No Limit Hold'Em, we will touch upon strategies for other games, including Yardley's game of choice, Five Card Draw, and discuss the psychology of poker. The fish is a mathematician, so you can also expect some discussion of the mathematics of poker, but in a way that even his mentors can understand. Does the fish turn into a shark, or at least a slightly more scary fish? What does he learn along the way? Will his mentors ever stop laughing at him?